On the split put out recently by Disposable America, Boston’s Soft Fangs and Brooklyn’s Bellows offer a sobering, but elegantly melodic collection of sounds. 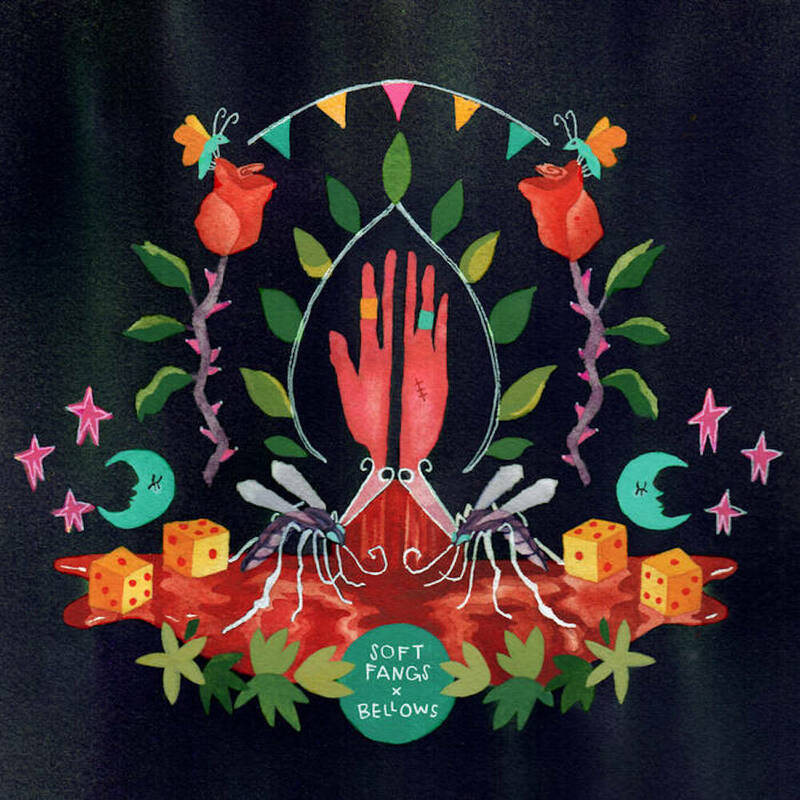 The EP starts off with “Sugarblood” by Soft Fangs. The scuzzy, dreamy track takes you floating through the starry night sky, except as the dry, raw vocals cut in, you realize the sky is just composed of those glow-in-the-dark stars stuck to your ceiling. It’s cosmic, but grounding with its pure simplicity in sound. This philosophy continues on the next Soft Fangs’ track, “Nine Lives.” Though the sound gives the illusion of ease and straightforwardness, there are cooing synths layered with waltzing guitar lines and pattering drums. The feel is relaxing, but there is certainly more than meets the eye (ears?) at first listen. Bellows takes the EP for a turn in the next two tracks. Though the mood more or less stays mellow, if not a little melancholy, there is more of an electronic emphasis on Bellows’ tracks. The seemingly robotic vocals and electronically infused beats combined with the hum of clean guitar and piano tracks create a juxtaposed, but cooperative sound. “Broken Skin” and “Blue” are futuristic and far-reaching, but have a sort of purity that is embedded in the more confined and basic indie bedroom pop. To put Soft Fangs and Bellows together is to create a perfectly balanced harmony: a constant flow of electricity and sadness, simplicity and layers; an idealistic split for the adventurous (and perhaps weary) mind.